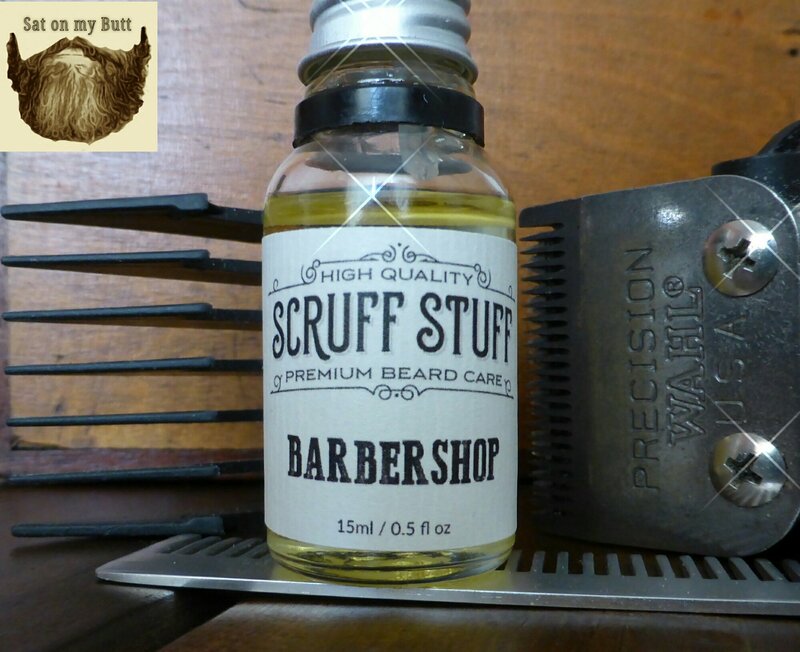 Scruff Stuff ‘Barbershop’ Beard Oil the fourth oil from Scruff Stuff that I have received and I’m 95% sure that I would recognise it was a Scruff Stuff oil by the smell alone! Now I’m not saying that because they all smell similar to each other, its because of the subtle blend of essential oils and that is something that, well I can’t describe. Like I have said before about these oils, they are blended so well and its almost the blend quality that you get with a good cologne or perfume. Barbershop is a woody blend of Sandalwood and Patchouli, combined with sweet, fresh Orange and tangy Bergamot. This oil was at first called ‘original’ and was going to be the flagship oil because it’s so good and does smell very good. This oil feels a tad thicker (that’s a metric tad) than the other oils, but it’s still a light oil like the other Scruff Stuff oils, its a crisp smelling oil and the Citrus freshness is what I really like about this oil. When applied the beard does have a fresh feel and the oil gives a light hold to my beard. Priced at £7.95 this oil is worth every penny and you can buy it by clicking the buy button above. What draws a lot of bearded men to Scruff Stuff is the customer service that James gives, there is a Facebook page that he set up and he didn’t call it Scruff Stuff, he called it Bearded F’ing Badasses and didn’t push the oils at all, he allowed the page to build and didn’t complain when people talked about other beard oils. In one post a guy showed a photo of his broken bottle of Scruff Stuff oil, the postman had tried to force it through the letter box and James told the guy that another bottle would be sent out without charge, not many companies would do that. James has built this community and now has a dedicated customer base, this kind of raport with customers is what makes Scruff Stuff so popular and with more products being added, this company is destined to be a major player in the beard products market. ← Trousers suitable for wheelchair users?